Damage/Repair Dirt, surface scratches, and general wear. Strand Length Each strand is approximately 35 inches or larger. Please note that we are selling several of these myrrh bead strands. The picture is an example, but your beads may range in color from a light tan to a dark chocolate brown. 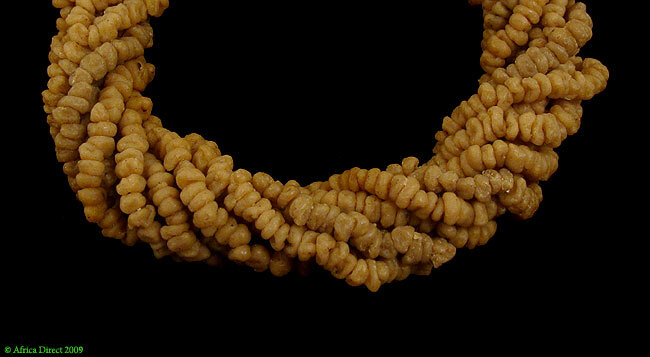 Some of the necklaces are more aromatic than others--yours may not have a strong smell. 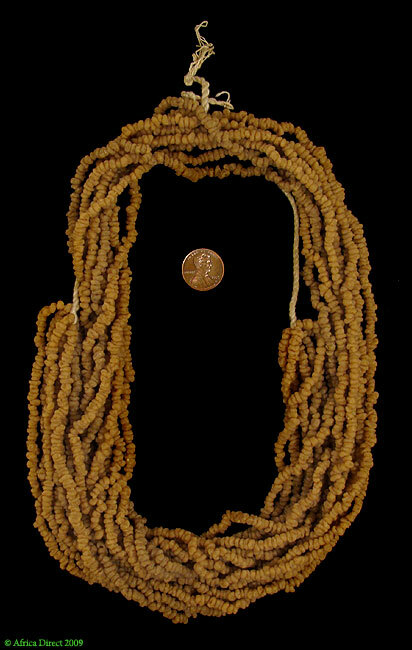 Wonderfully aromatic beads made of a natural plant resin from Africa. These are often referred to as "Myrrh" beads but most likely are not made from this plant. Lightweight and easy to wear, and the fragrance is delightful.